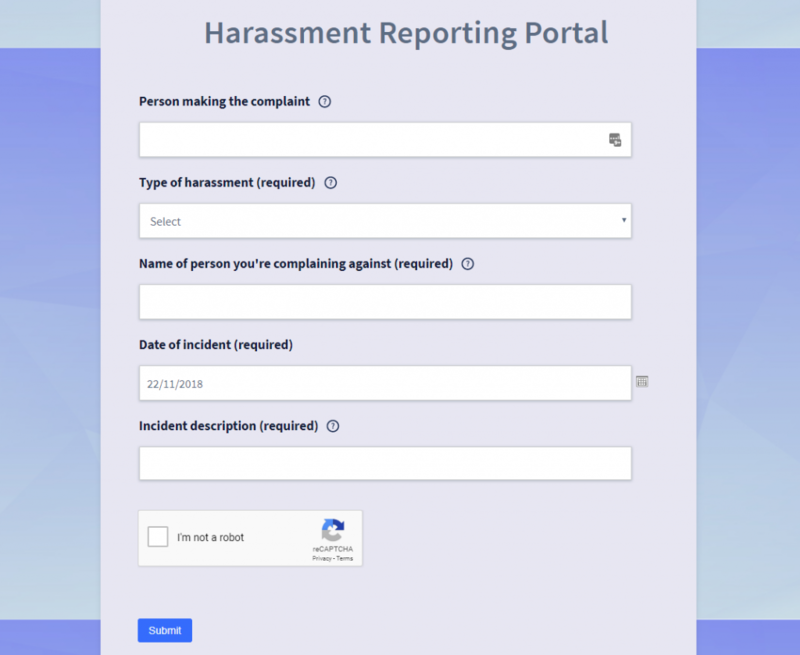 The Omnitrack whistleblowing portal is VinciWorks’ solution to allowing staff to easily and anonymously raise concerns of any inappropriate behaviour, including reporting any harassment they or others may have been subject to. The portal then instantly notifies appropriate managers that a report has been made, enabling them to record the report and immediately take the right course of action, widening a responsive culture and mitigating the risk and damage. 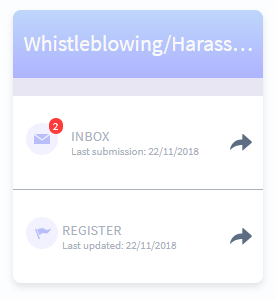 How does the harassment whistleblowing portal work? Simple to setup and deploy, Omnitrack will allow anyone in your organisation to immediately, easily and securely report inappropriate behaviour such as harassment, bullying and sexual harassment. A web form is made public to all employees and contains the appropriate fields for whistleblowing. If there are any additional fields you would like to add, this can be done directly by the admin. The form can also be embedded in sexual harassment training as well as on the company intranet or website. Form submissions are then passed to the inbox where the system administrators can review the forms and pass them onto the right staff member, such as the manager or compliance manager. The administrator, manager or compliance team can then decide what gets added to the register, determine the next course of action and prioritise any risks that they may identify. What should a whistleblowing portal include? VinciWorks’ Omnitrack is a fully-flexible, fully-customisable data collection tool that can used by businesses to capture, track and manage any type of information, from registers and assessments to self-reporting forms and notifications. The Omnitrack platform has the versatility and power to log data assets, record complaints and breaches, enable whistleblowing, evidence regulatory compliance and manage other business processes internally, throughout the supply chain or on behalf of independent firms subscribing to outsourced business services. You can get a quote and book a demo for VinciWorks’ harassment whistleblowing portal by clicking the button below.